Bus transfer to the archaeological site of Myra , and to Demre for St. Nicholas Church when requested , shopping , banking and lunch . Gulet departure from the harbour of Demre . Pirates Cave (sea conditions permitting), Sunken City of Kekova (this Lycian-Roman archaeological site is protected, so only looking!). Simena, a traditional Turkish fishing village with no car access and Byzantine/Ottoman castle. In Gokkaya Bay optional water sports are available. Dinner, relax in this pirates haven or party the night away at the Smugglers Inn. Breakfast . Departure to Kas. A swim stop in a nice and quiet bay in front of the little town. Lunch. Visit of this charming fishing village. Of ancient Antiphellos, as Kas was once known, only Lycian rock tombs & sarcophagi and the Roman theatre are left. But the charm of the town remains! Near Kalkan we stop in Aquarium or Firnaz Bay (dinner & 2nd night). Breakfast . Around sunrise we depart for Butterfly Valley where we stop (sea conditions permitting!) for swimming and to visit this natural reserve, hosting 136 kinds of different butterflies and moths. 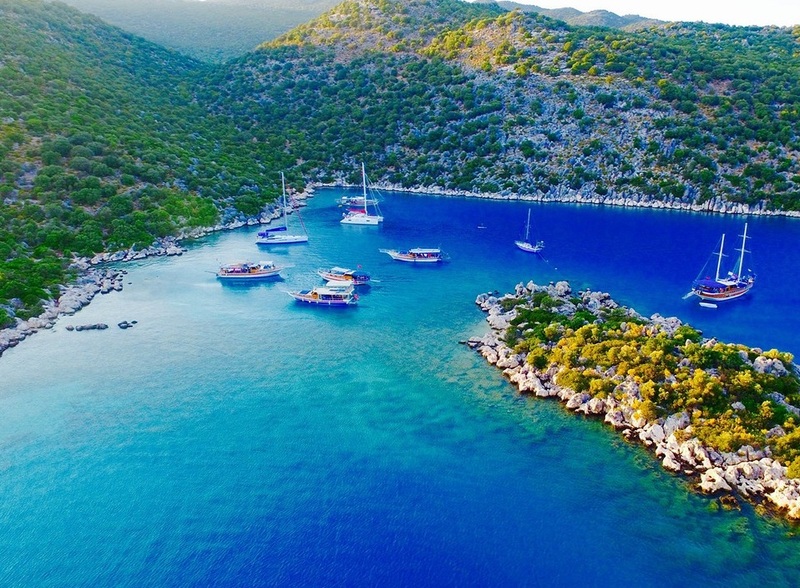 Oludeniz (The Blue Lagoon) is our next stop, again sea conditions permitting! Option for paragliding available. Lunch . Last stop of the day is St.Nicholas Island. Byzantine ruins, swim, dinner & 3rd night. Breakfast . Departure for Samanlik Bay (swim & lunch). Finally we sail to Fethiye Harbour. End of cruise transfer to airport . Flight to Istanbul . After arriving transfer to Hotel in Istanbul . i want to book it ! Hotel Pick-up & drop-off - by air-conditioned non-smoking vehicles.